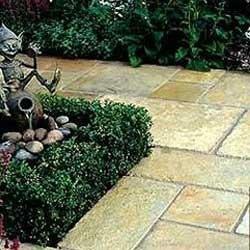 We are one of prominent manufacturers and suppliers of high quality Limestone Slabs. These Indian limestone slabs are widely used in wall cladding, flooring, and paving. These products are manufactured using fine quality raw materials that are sourced from reliable vendors. These products are widely appreciated for their unique features such as durability, endurance, heat resistance and varied weather resistance. Our offered range of Natural Limestone Slabs is widely appreciated for its unique features such as durability, endurance, heat resistance and varied weather resistance. The Indian Limestone Slabs that we offer fine usage in wall cladding, flooring, paving and others. Edges of limestone slabs can be either hand dressed or machine cut. Looking for Limestone Slabs ?